Edward Crawford Magician & Mind Reader has been performing his unique style of illusion for over 15 years and has captivated audiences throughout the world. Those who have witnessed his stage show or close up at parties and corporate events have never failed to be astounded by the experience. Edward's act is perfect for corporate events, banquets, dinners, balls, private parties and weddings and offers your guests a truly unique and memorable experience. Whether you require a Magician for a close up performance at a dinner or drinks reception or a cabaret /stage show Edward will tailor his act to suit your requirements. 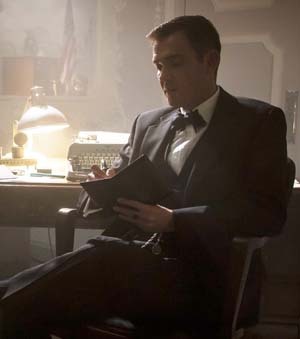 Edward's style of magic is known by the esoteric term of mentalism. Best described as magic of the mind, Edward will stun your guests with a grown up style of magic that will leave even the most cynical with a sense of wonder. Both close up and on stage Edward will demonstrate the ability to read thoughts, make impossible predictions and move objects with his mind that will give your guests a genuinely spectacular and unforgettable experience. Edward's act specialises in demonstrating the amazing power of the human thought. Using influence, psychology and deception Edward will read minds, influence the present, predict the future and, on occasion, will demonstrate feats of psychokineses (moving objects with the mind). It really needs to be seen to be believed. No camera trickery, everything will be performed directly in front of you. Think of an old school friend, Edward will tell you their name and what they looked like. Draw a picture, open the envelope Edward handed you before you started to draw, it's an identical image. Take a coin out of your pocket and watch it bend! All these and more can be witnessed both on stage and in intimate close up performances. The services that Edward offers range from small and intimate close up events to performing for thousands at his stage and cabaret show. Each performance is suited to the client‚s needs and it can be assured that your guests will be amazed, amused and astonished. Professional Sussex Close-up Magician Max Curd is creditably one of the Top magicians in Sussex. Max Curd is a Fully Qualified member of the World Famous Sussex Magic Circle where he has Won Two Awards for his incredible close up magic. With 10 years of experience Max has performed at many different events all over Sussex, specialising as a Sussex Wedding Magician, Sussex Corporate Magician and Sussex Party Magician. Max has also built up the reputation of being one of the busiest Close-up Magicians in Brighton which is where he is based, but now performs at events all over the U.K and Worldwide. If your planning an event and looking for a Close-up Magician visit Max's website and get in touch! Alex Welsh aka Magic-Al is of a new school of magical entertainment, pushing through his own unique brand of 'feestyle magic'. "It's a blend of mind reading, street magic, pick pocketing and plain astonishment!" The 26 year old close-up and cabaret magician based in Brighton, East Sussex has been perfecting this type of modern magic for over 15 years and has been booked up and down the UK for parties, weddings and corporate events and trade shows by top companies such as Bupa international and the Birmingham NEC, he also appeared on Britain's Got Talent in 2009. Alex believes that his audience are very much part of the magic as it's performed to small groups of people or on a one-on-one basis. This makes the magic more personal and memorable. To see why demand for Alex's unique brand of freestyle magic is increasing, please visit the website. Book a DIFFERENT magician in Brighton today that will leave a long lasting impression. see Richie's website for more information. 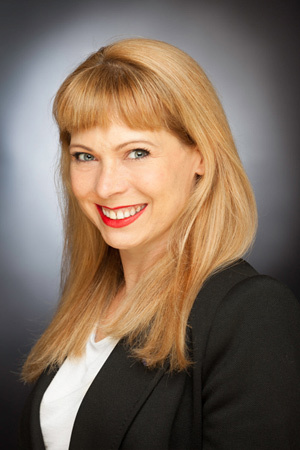 Ros is an experienced professional close-up, street and stage magician hailing from the seaside town of Brighton(U.K). At the young age of 18 he attemps to blow his audiences minds with extreme magic and crazy skills. A prestigious member of the Sussex Magic Circle, Ros takes his audience on a journey that they will never forget. As well as performing for the general public he can sometimes be seen entertaing celebs in clubs around the U.K, some of these people enclude:The Kooks, Kate Nash Nikki from Big Brother and the Foo Fighters. At the moment Ros is working with a magazine comapny who are flying him out to Monaco to do a launch party for them as well as others in the U.K. For bookings e-mail Ros and he will get bck to you as soon as possible. 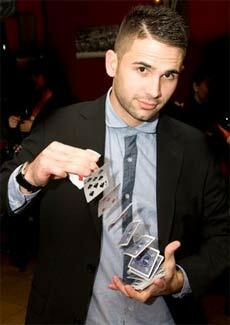 Matt Parro, a professional close-up magician, a rare breed of magician focusing on fresh, cool and stunning magic. Matt who is based in Brighton, started magic just before he turned 19, he specializes in coin, card and mental miracles, some of which have never been seen before as he spends time creating and developing new ideas and techniques. Matt has been seen performing on television and heard on radio. 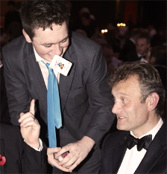 A member of The Sussex Magic Circle, Matt often hosts and performs on club nights. Matt continues to astound people with his jaw-dropping engaging new magic. Maybe you (or your clients) will be next to be amazed and astounded by Matt Parro. Elegant, entertaining, magical. Damian is available for bookings for weddings, private parties, corporate events and more. "We book Damian every year and love his magic"
"Damian made my wedding an even more special event. We have his fused card framed on our wall. Amazing! "Damian isn't cheesy like many magicians."